"I'm inspired by vintage magazines." I love this bib/overall dress. Check out the braid (looking) detail in the closeup. And love her filmy blouse with puff sleeves. 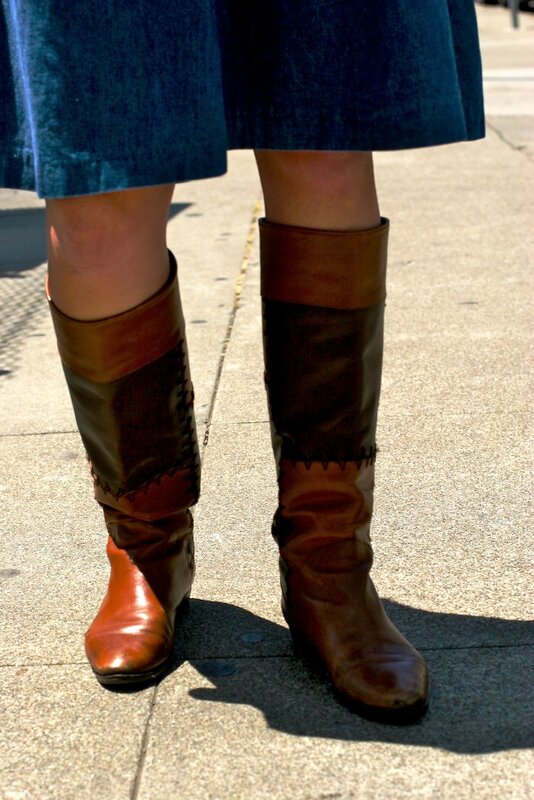 A look at her hem and two-color leather boots. Today's theme is denim overalls. Or at least denim clothing with a bib aspect.